Those of you who are familiar with Heavyocity’s products may already recognise the Punish moniker. Previously, an effect by the same name has been included as a single-knob control in products from the New York-based company such as Damage, Aeon and Gravity. Cranking up this effect would introduce thick saturation and compression to a sound and really rough things up. Now, in the form of the standalone Punish plug-in, we’re invited to dive into the inner workings of this effect and dial in custom compression, saturation, transient shaping and equalisation, all within one plug-in. Heavyocity has modelled its favourite analogue processing gear and created a plug-in that it hopes will appeal to more than just the usual audience of film, video game and television composers. 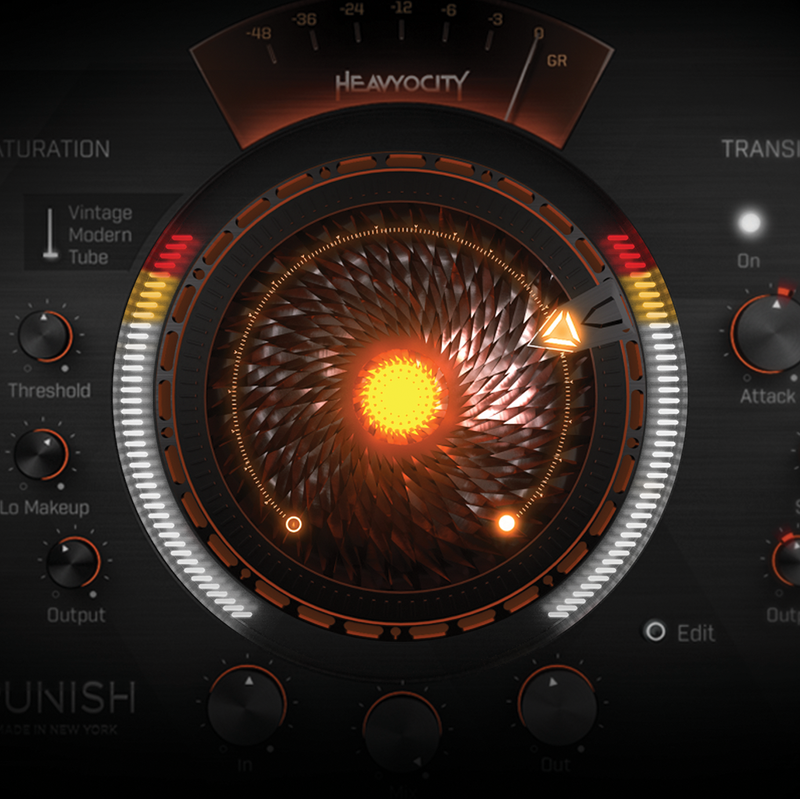 The interface of Heavyocity Punish is divided into four main sections – Compressor, Saturator, Transients and Equalizer – all connected to a large central knob that links everything together. We also have a limiter at the end of the chain and a gain-reduction meter at the top of the plug-in. The large central control allows for multiple parameters from the various sections to be modulated by adjusting a single parameter. This is not just a wet/dry control (which is also included) but works in a similar way to the macro control functionality of Native Instruments’ Massive and Xfer’s Serum, meaning you can set the parameters you would like to link, and also set their range of control. This ability is Punish’s raison d’être, and something we’d not seen before in an effects plug-in. 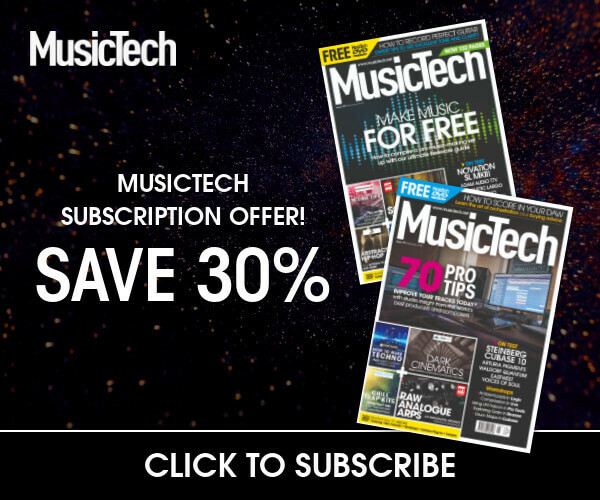 We initially felt that the $199 asking price was rather on the steep side compared to the price of iZotope’s Trash 2, for example, but when you take into account the fact that six pieces of analogue gear have been meticulously modelled by Heavyocity to create the plug-in, it doesn’t feel like terrible value. Check out iZotope’s Trash 2 (£22) if you need a plug-in that can do more than just distort. Trash 2 has many different flavours of distortion as well as dynamics and convolution effects, and it’s also multiband. FabFilter’s highly acclaimed Saturn also provides similar capabilities, allowing for up to six bands of multiband control with a unique interface, but at a slightly more premium price of £114. For straight-up analogue-modelled warmth and overdrive with an interface that keeps things simple, have a look at Soundtoys’ Decapitator (£117), which has proven a hit with big-name engineers. Starting with the Compressor section, there are three different options for the style of compressor to use. Console is a large-format console, buss compressor-style offering which sounds lively and punchy, something like an SSL buss compressor to our ears. Modern is described in the manual as having “an aggressive, fat sound” and the Classic option has a warmer and softer sound. It’s worth noting that there is no knee control here, but between the three choices of compression models, there should be something to suit most applications. A nice addition was the high-pass feature that allows low frequencies to be ignored by the compressor below a set frequency – great for material with a booming low end that would otherwise cause obvious ducking and pumping effects. Moving onto the Saturation portion of Punish, we’re presented with Vintage, Modern and Tube saturation types. Vintage is modelled on a broadcast-format microphone pre-amp/EQ, Modern is a model of a more recent mic pre-amp and Tube is described as “warm and full-bodied”. There are no surprises with the Transient section of the plug-in, where the usual attack, hold, sustain and output controls are provided. 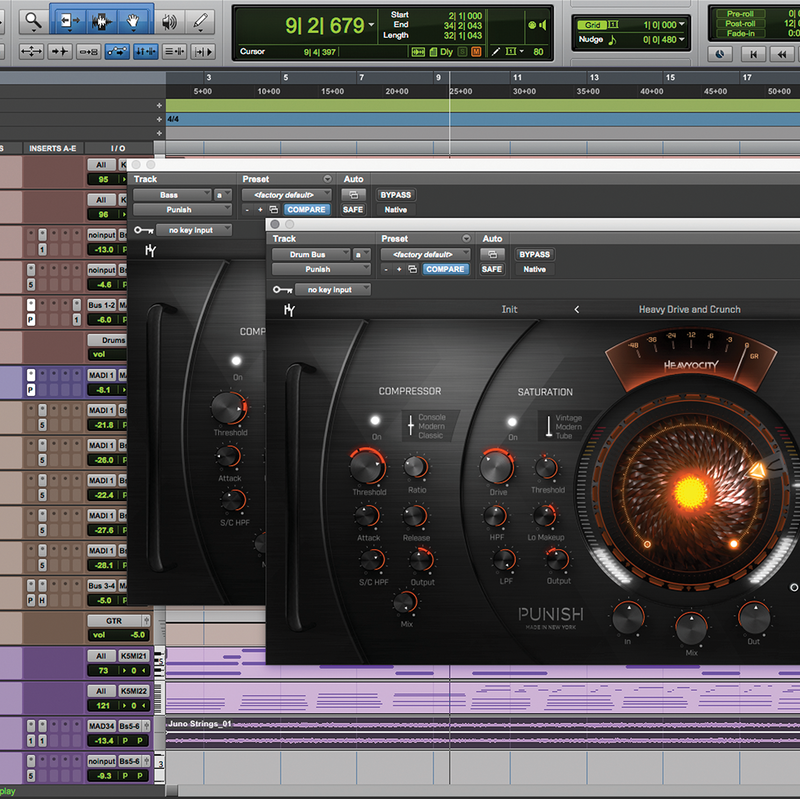 Finally, the Equalizer section provides final tonal control over Punish’s output and can be used in pre or post modes. Having multiple parameters connected to a single control means Punish is ideal for adding some extra clout to a particular section of your track. For example, during a chorus you could take the central knob from 20 per cent to somewhere around 70 per cent for the focal point of a song, really helping to highlight it and to create a contrast from the verse and bridge. 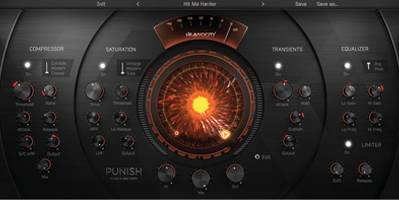 Punish could be sitting on your master bus or maybe on a sub-mix, and controlled in your DAW via automation. The beauty of this is that you would traditionally need to automate multiple parameters to achieve a similar effect, which could prove complicated and disruptive to your workflow. In use, we found Punish to be great for adding subtle warmth and punch to a mix, but also for heavy manipulation of sound sources, such as drum room microphones, which sounded great when pushed hard through the compression and saturation sections. Bass guitars reacted especially well when roughed up by the Vintage saturation model and softened with the transient shaper. We particularly liked the sound of the Console compressor, although SSL buss compressor emulation is available in many plug-ins these days and is nothing new. 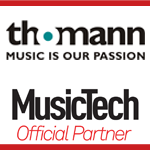 The ability to control everything with one knob, however, is where Punish really shines, as the kind of macro control provided within this plug-in would be extremely complex to configure manually within a DAW. The limiter at the end of the chain is a great addition and means that everything stays out of the red and under control. While the effects provided here are nothing groundbreaking in themselves, having this combination of processors in one plug-in and being able to tweak them all in unison is a great thing. Full transient control is something that, for example, iZotope’s Ozone 7 and Trash 2 plug-ins don’t have, so that proved to be a nice addition. If Heavyocity Punish allowed for full multiband control, like some of iZotope’s products, it would be incredibly powerful, however we felt that this would lose some of the immediacy and intuitiveness that the interface provides. The flashy GUI, with its large, glowing orb in the centre and large footprint, won’t appeal to everyone. Yet despite being graphically complex, CPU load did not seem to be a problem for this plug-in. The interface is well designed and everything you need is presented on one screen, without the need to dive into menus or additional settings, except to load presets of course. Browsing the included 90 presets gives some good suggestions of potential applications, ranging from vocal processing to full mastering setups – and we found a lot of these to be very usable indeed, especially the mastering presets. 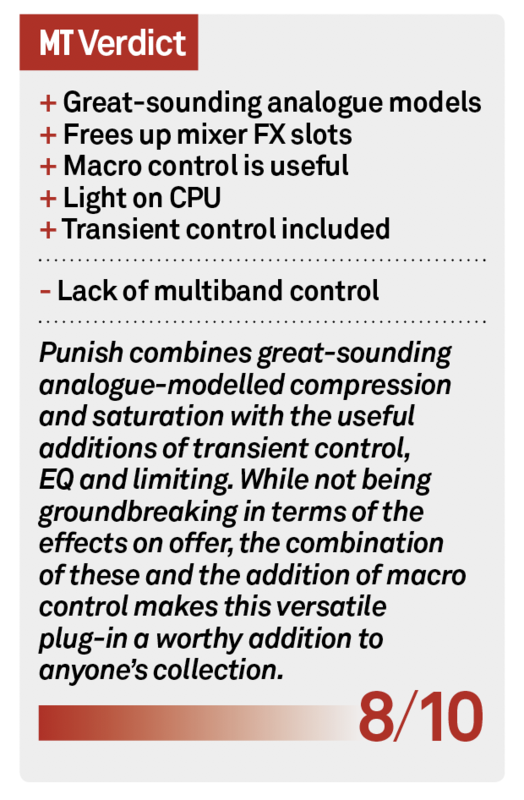 Overall, the processing options offered up by Punish are nothing pioneering, but the ability to have five effects (if you include the limiter) in one plug-in, only taking up one slot in your mixer, is a huge plus in itself.